This season at Morris Service, we have increased our rigging abilities by adding Master Rigger Mike Paige to our team. With 20+ years of experience working in yards up and down the East coast, Mike is extremely well-seasoned in the rigging industry. In addition to our standard rigging assessments, Morris Service will now begin to take a deeply involved, in-depth look at the rigs we care for. This will enable us to better serve our customers by offering specialized recommendations for improvements customized to each rig’s needs. Comprehensive general mast system visual inspection. Check all fittings/terminations, rod/fiber/wire, spreaders, sheaves, halyards, backstay, mast base, partners, halyard blocks and chainplates. 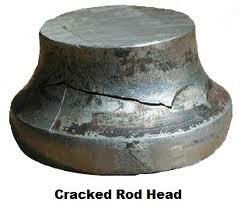 Check for cracks, corrosion, pitting, rust. Check for bends/kinks in fittings and rod. Properly re-tune to align and seat all cold heads and hardware, and generate proper tension/tuning. All of the above checks. Un-step mast, if not already done. Complete dis-assembly of all fittings. Clean/polish rod, cold heads and fittings to facilitate inspection process. Visual inspection for cracks, corrosion, pitting, rust, general discoloration. Reassemble and lubricate all fittings, Lanacote, Tef-gel, SailKote, Loctite. Written and photo documentation, create service log. Routine maintenance is critical for safety and to increase the life expectancy of the rigging. It is far less expensive to do routine maintenance than to suffer the cost of losing an entire rig overboard. As always, Morris Service is here to ensure you and your rig enjoy a completely uncompromised sailing experience.